Joseph Aloysius Lyons was the tenth Prime Minister of Australia, serving from January 1932 until his death. He had earlier served as Premier of Tasmania from 1923 to 1928, and was the first, and to date only, prime minister from Tasmania. Sir Earle Christmas Grafton Page, was an Australian politician who served as the 11th Prime Minister of Australia, holding office for 19 days after the death of Joseph Lyons in 1939. He was the leader of the Country Party from 1921 to 1939, and was the most influential figure in its early years. John Curtin was an Australian politician who served as the 14th Prime Minister of Australia, in office from 1941 until his death in 1945. He led the country for the majority of World War II, including all but the last few weeks of the war in the Pacific. He was the leader of the Australian Labor Party (ALP) from 1935 to 1945. Richard Gavin Gardiner Casey, Baron Casey was an Australian statesman who served as the 16th Governor-General of Australia, in office from 1965 to 1969. He was also a distinguished army officer, longserving cabinet minister, Ambassador to the United States, member of Churchill's War Cabinet, and Governor of Bengal. In customary international law, an enemy alien is any native, citizen, denizen or subject of any foreign nation or government with which a domestic nation or government is in conflict and who are liable to be apprehended, restrained, secured and removed. Usually, but not always, the countries are in a state of declared war. Menzies proposed an all party unity government to break the impasse, but the Labor Party refused to join. 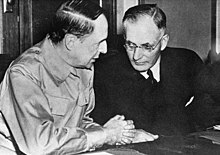 Curtin agreed instead to take a seat on a newly created Advisory War Council in October 1940. Cameron resigned as Country Party leader in October 1940, to be replaced by Arthur Fadden, who became Treasurer and Menzies unhappily conceded to allow Page back into his ministry. ↑ Martin, A.W. (2000). "Menzies, Sir Robert Gordon (Bob) (1894–1978)". Australian Dictionary of Biography. Volume 15. Carlton, Victoria: Melbourne University Press. pp. 354–361. ISBN 9780522844597. 1 2 3 4 "In office - Robert Menzies". Australia's Prime Ministers. National Archives of Australia. Archived from the original on 13 November 2013. Retrieved 28 July 2016. ↑ "Wartime internment camps in Australia". National Archives of Australia. Retrieved 28 July 2016. 1 2 "Before office - John Curtin". Australia's Prime Ministers. National Archives of Australia. Retrieved 28 July 2016. 1 2 3 4 "In office - John Curtin". Australia's Prime Ministers. National Archives of Australia. Retrieved 28 July 2016. ↑ "Midget Submarines history at". Home.st.net.au. Archived from the original on 13 April 2010. Retrieved 29 April 2010. ↑ "Elections - John Curtin". Australia's Prime Ministers. National Archives of Australia. Retrieved 28 July 2016. ↑ Cunneen, Chris (1996). "Gloucester, first Duke of (1900–1974)". Australian Dictionary of Biography. Volume 14. Carlton, Victoria: Melbourne University Press. ISBN 9780522847178. ↑ "Francis Forde". Australia's Prime Ministers. National Archives of Australia. Retrieved 28 July 2016. ↑ Waterson, D. B. (1993). "Chifley, Joseph Benedict (Ben) (1885–1951)". Australian Dictionary of Biography. Volume 13. Carlton, Victoria: Melbourne University Press. ISBN 9780522845129. ↑ "John Curtin". Australia's Prime Ministers. National Archives of Australia. Archived from the original on 26 July 2010. Retrieved 29 June 2010. ↑ [ "Air raids on the Australian mainland". Australian War Memorial. Retrieved 27 July 2016. 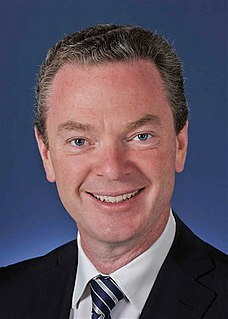 The Minister for Defence in the Government of Australia is currently Christopher Pyne, who has held the position in the Morrison Government since 28 August 2018. A war cabinet is a committee formed by a government in a time of war. It is usually a subset of the full executive cabinet of ministers. It is also quite common for a war cabinet to have senior military officers and opposition politicians as members. 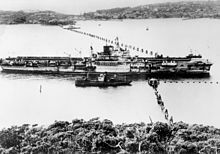 The "Brisbane Line" was a defence proposal supposedly formulated during World War II to concede the northern portion of the Australian continent in the event of an invasion by the Japanese. 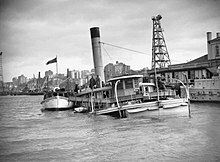 Although a plan to prioritise defence in the vital industrial regions between Brisbane and Melbourne in the event of invasion had been proposed in February 1942, it was rejected by Labor Prime Minister John Curtin and the Australian War Cabinet. 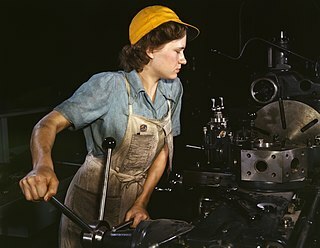 An incomplete understanding of this proposal and other planned responses to invasion led Labor minister Eddie Ward to publicly allege that the previous government had planned to abandon most of northern Australia to the Japanese. The Defence Act (1943) was federal Australian law passed on 26 January 1943 which extended the area in which the Militia were obliged to serve from Australia and its territories to the South-Western Pacific Zone (SWPZ), a triangle bounded by the equator and the 110th and 159th meridians of longitude, for the duration of the war and up to six months of Australia ceasing to be involved in hostilities. John Johnstone Dedman was a Minister in the Australian Labor Party governments led by John Curtin and Ben Chifley. He was responsible for organising production during World War II, establishing the Australian National University, reorganising the Commonwealth Scientific and Industrial Research Organisation (CSIRO) and developing the Snowy Mountains Scheme. Dedman represented the Federal seat of Corio, centred on Geelong between 1940 and 1949. John Norman Lawson was an Australian politician. Born in Sydney to James Lawson and Eleanor, née Day, he was educated at Sydney Boys' High School and the University of Sydney. He worked as a veterinarian in New Zealand from 1920 until 1926, when he bought Kidgery, a sheep station near Nyngan, New South Wales. He married Jessie Alicia Orchard, daughter of Richard Orchard, in 1925. Sir Eric John Harrison was an Australian politician and diplomat. 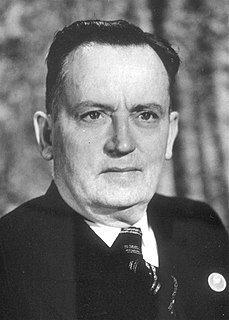 He was the inaugural deputy leader of the Liberal Party (1945–1956), and a government minister under four prime ministers. He was later High Commissioner to the United Kingdom from 1956 to 1964. The Advisory War Council (AWC) was an Australian Government body during World War II. 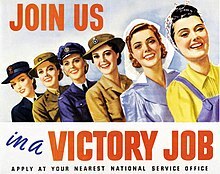 The AWC was established on 28 October 1940 to draw all the major political parties in the Parliament of Australia into the process of making decisions on Australia's war effort and was disbanded on 30 August 1945. A by-election was held in the Henty electorate in the eastern suburbs of Melbourne on 30 March 1946, following the resignation of independent MP Arthur Coles. 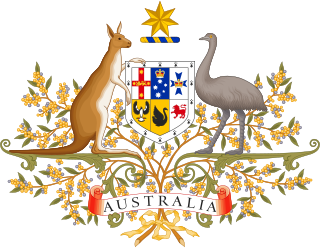 The Menzies Government (1949–1966) refers to the second period of federal executive government of Australia led by Prime Minister Robert Menzies. It was made up of members of a Liberal-Country Party coalition in the Australian Parliament from 1949–1966. Menzies led the Liberal-Country Coalition to election victories in 1949, 1951, 1954, 1955, 1958, 1961 and 1963. Robert Menzies was Australia's longest serving Prime Minister. He had served a previous term as Prime Minister as leader of the United Australia Party from 1939–1941. The Menzies Government (1939–1941) refers to the federal executive government of Australia led by Prime Minister Robert Menzies. Menzies led the United Australia Party in the Australian Parliament from 1939–1941. Menzies served a later and longer term as Prime Minister as leader of a successor party, the Liberal Party of Australia from 1949–1966.